Business News›MF›Analysis›Am I investing in the right mutual funds? I want to know whether the allocation is in right funds? Also, if I want to start more SIP, what amount should I invest and in which schemes/sectors? It is not possible to comment about your allocation without knowing important details like your goals, investment horizon, and risk profile. We are assuming that you are investing for long-term financial goals since you are investing in equity mutual funds. You are currently investing in three tax saving mutual funds or ELSS funds. ELSS funds are ideal to save taxes under Section 80C of the Income Tax Act. Investments in them qualify for tax deductions of up to Rs 1.5 lakh in a financial year. Apart from these schemes, you are also investing in a sector scheme. We do not recommend sector schemes to regular investors as these schemes are meant for sophisticated investors with intimate knowledge about the sectors. 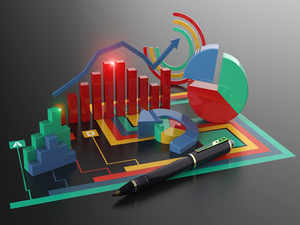 Sector or thematic schemes are mandated to invest in a theme or sector, and their fortunes are linked to the performance of the sector or theme. Sectors or themes also go through cycles. That is why it is extremely important to enter and exit these schemes at the right time to maximise returns.. We believe a regular investor would find it difficult to do it. We always ask investors to choose mutual funds based on their goals, investment horizon and risk profile. Identify your financial goals, quantify them, and make an investment plan to achieve them. This strategy would help you to choose schemes that match your profile.